Overall health is affected by many factors, including environment, genetics and access to health care. One of the largest components of overall health is the behavior that children and adults engage in every day. The 2017 Child Well-Being Survey (CWBS) asked parents and guardians of youth in Greater Cincinnati and Northern Kentucky to describe the overall health of their child. CWBS also asked about specific health behaviors such as physical activity and sleep patterns. Responses varied by income. Fewer than 7 in 10 families earning 100% or less of the Federal Poverty Guidelines (FPG)2 (67%) reported that their child had excellent or very good health. As income increased, the percentage of parents reporting excellent or very good health increased. Seven in 10 families earning between 100% and 200% FPG (74%) reported that their child had excellent or very good health. For families earning more than 200% FPG, the percentage rose to nearly 9 in 10 (89%). Responses also varied by race. Seven in 10 African American children had excellent or very good health (73%), compared with 8 in 10 White children (84%). Parents in our region were asked, “During the past week, on how many days did your child exercise or participate in physical activity for at least 60 minutes?” Nearly 3 in 10 parents (27%) reported that their child did 60 minutes of physical activity for the recommended seven days. More than 2 in 10 (24%) had children who were active for four to six days, and more than 3 in 10 (35%) had children who were active one to three days. About 1 in 10 parents reported that their child did not get 60 minutes of activity on any days in the past week (12%). The National Survey of Children’s Health asked a similar question in 2016, and found that 24% of families across the country reported that their child was active for at least 60 minutes for seven days, similar to local results. Locally, responses varied by family income. More than 3 in 10 children from families earning 200% FPG or less (35%) were active every day. This compares with only 2 in 10 children from families earning more than 200% FPG (20%). Responses also varied by age. Four in 10 children ages 0-5 were active every day (41%). That compares with fewer than 3 in 10 children ages 6 to 12 (26%), and fewer than 2 in 10 adolescents ages 13 to 17 (17%). Getting sufficient sleep is another critical key to good health. The amount of sleep a child needs varies by age.4 CWBS asked parents, “During the past week, how many hours of sleep did this child get during an average day, including both nighttime sleep and naps?” Parents reported that about 6 in 10 (63%) youth in the region got the recommended hours of sleep per day. Nearly 4 in 10 (35%) got less than the recommended amount of sleep. Responses varied by age. According to parents, nearly 7 in 10 teenagers (68%) slept the recommended amount. This compared with 6 in 10 children ages 6 to 12 (60%) and 0 to 5 (61%). These questions give us a snapshot of the overall health and health behaviors of the youth in our community. Helping children develop healthy habits at a young age can help them maintain good habits later in life. This will have a lifetime impact on their overall well-being and reduce their risk for chronic conditions. By assessing the current habits of children, we can see where there is opportunity for improvement. We can also consider changes to policies and systems and increase family education to support healthy behaviors. Cincinnati Children’s, Interact for Health and United Way are committed to working together to improve child health. 1 Data Resource Center for Child & Adolescent Health. (2016). National Survey of Children’s Health. Retrieved from http://childhealthdata.org/browse/survey. 2 In 2016, 100% FPG was $24,250 for a family of four and 200% FPG was $48,500 for a family of four. 3 Centers for Disease Control and Prevention. (2015). 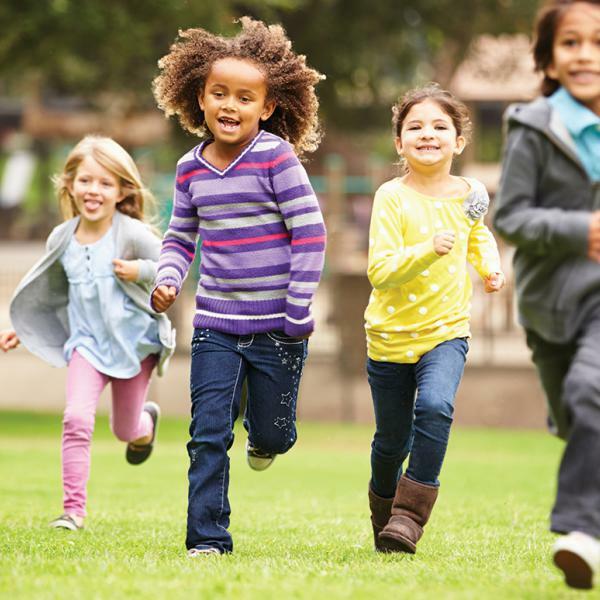 How much physical activity do children need? Retrieved from www.cdc.gov/physicalactivity/basics/children/index.htm. 4 Centers for Disease Control and Prevention. (2017). How much sleep do I need? Retrieved from www.cdc.gov/sleep/about_sleep/how_much_sleep.html.